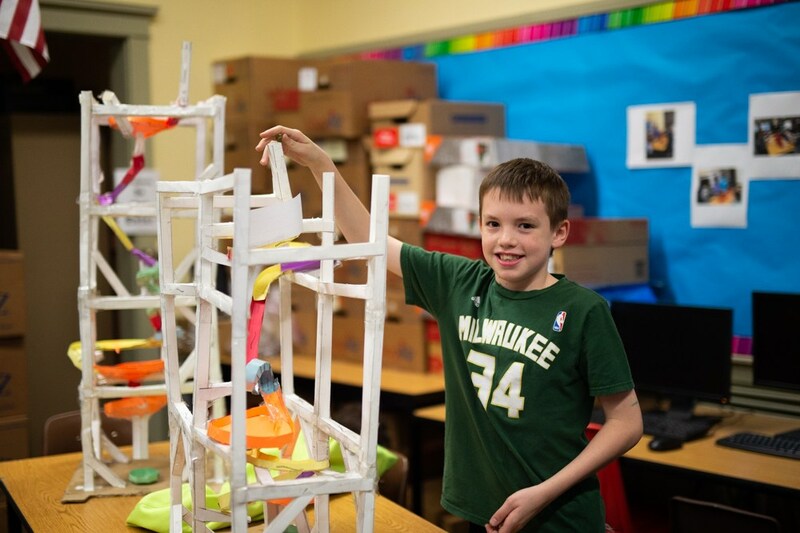 Students, families and friends had much to look at between the Marble Run displays, cross-curricular projects, research essays, social studies presentations, saint shields, fantastic science projects, and more. As always, the Wax Museum was a huge hit and the 4th graders really stepped up to the challenge with their costumes and presentations. The performances and art on display in Colletti Hall were fabulous. The Cartonera projects were also a huge success! The students were so proud of the books they wrote. Congratulations on a successful 2018 Curriculum Fair!